Ready for the return of Rick, Daryl and Michonne? Will Madison, Alicia and Daniel Salazar do instead? The current conflict is a classic land dispute: the Ranchers have been living on their own patch of land for a while. The Reservation believes that land has always been theirs, that it was forcefully taken from them. and it’s time to take it back. The season will open with a truce being struck, allowing the Ranchers to keep the land but the Reservation members to move in with them. 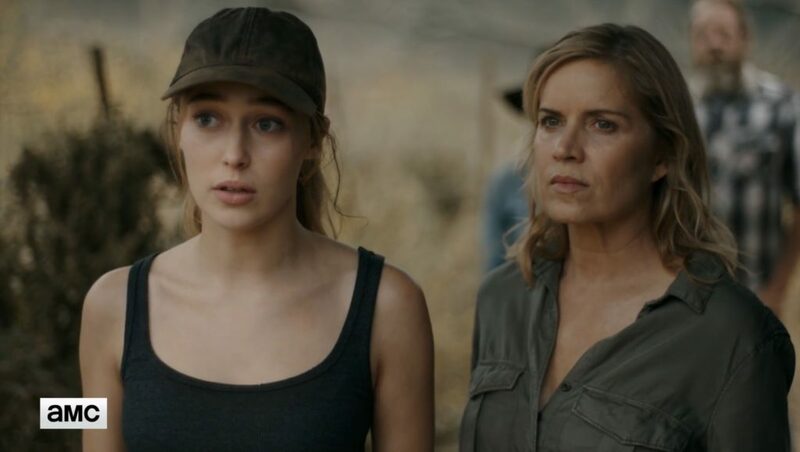 “Here we go,” deadpans Alicia. Indeed. 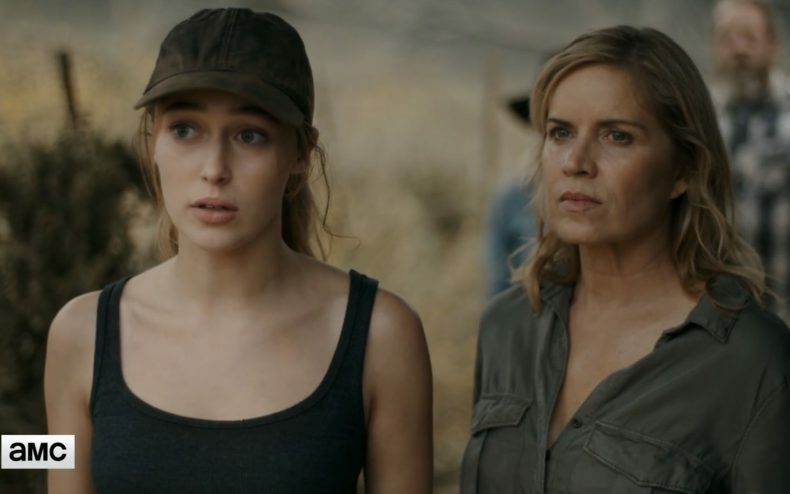 Fear The Walking Dead returns to AMC on September 10.